A new year, a new plan. Well, it’s a new year. Time to dust off the blog and see what I can do. I’ve been absent for the most part for this past year. Time to explain myself. It took me several months to figure out what my problem has been in the lack of writing. I haven’t written anything over the past year other than a handful of posts and a short story that was published in an anthology. The problem? Lethargy. The cause? As some of you know I have fibromyalgia or what is more commonly known as chronic pain along with chronic fatigue. I don’t know from one minute to the next what’s going to happen. Well, my medications were increased a while back and increased again. It turns out those medications cause something called lethargy. I call it energy killer. I have all these ides but as soon as I start to go and put them into words I feel exhausted. This year I’m going to get my old habits back and write, write, and write some more. Sounds like a good idea, but then there is the how of doing it. My first thing is to participate in my haiku challenge each week. 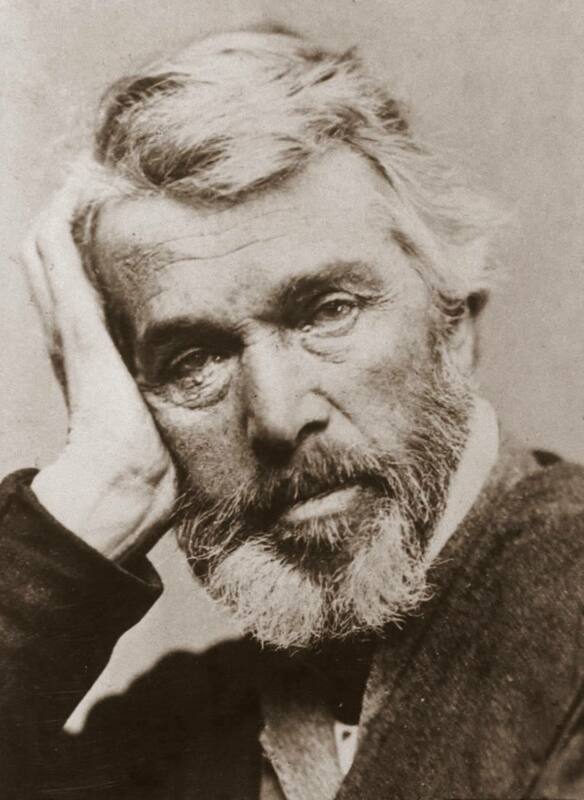 Who can’t come up with three lines of poetry, right? Second, I’ll be plotting a six book series of YA Fantasy/Realism. Third, I’ll work on two books of YA I’ve already written to get them in publishing worthy state. Fourth, I’ll start submitting that Romance novel I’ve written. I’ll take my time and not kill myself by doing the over submitting like a lot of us tend to do. Do a few a month, wait for reactions, then do some more. Fifth, well, the fifth is a secret, but I have some writing ideas. All of these are things I’ve been planning for a long time, but now they are out there for the world to see. Maybe that will get me to actually doing something about them. Oh yeah, and I have to read books for reviews on the LWI site. Can’t forget that. I’m tired already. Now if I can overcome the medications I’ll be good. Wish me luck. Sometimes you need to go to the book itself when you’re given a verse to read for the day. So I did, and read what led up to this statement by Paul to the Corinthians. I like Paul because he’s not afraid to talk about his own failings, although he keeps his main failing, the ‘thorn’ in his flesh a secret, he still admits he has one. So what does the verse mean? I look at myself as an example. I have Fibromyalgia which is also known as Chronic Pain. I have Chronic Fatigue, migraines that are always present, with variance in intensity, light and sound sensitivity, a sleep disorder, as well as spinal problems and other health issues. Why do I even look at those weaknesses in delight? Or perhaps the insults I’ve received at times? Because with the help of God, those weaknesses, insults, and persecutions didn’t stop me from doing something I’ve dreamed of for decades. In fact, because of those weaknesses I may have accomplished my goal of becoming a published author. I took what life gave me and worked with it. I didn’t say that because my life isn’t the norm, that I couldn’t accomplish something. Even today I don’t know when I will sleep, when I will be awake. Sometimes I sleep three hours out of 48 and I will turn that into something useful in writing. What better way to describe sleep deprivation than being in it? Anyone can brag about something they’ve done. But boasting about a weakness is something else. Overcoming hardships to be normal or even being extraordinary is something to talk about, but it’s mainly something to look to and realize help was given along the way. God directed me to write a book, or a few really. Within three months of an accident that changed my life forever, I’d written a book that I am about to shop to agents. I shouldn’t have been writing anything, but I had this need inside of me to challenge myself to accomplish something I’d never done before, write a romance novel. So it turned out to be a coming of age novel more than a romance. I still did it. Having that helping hand to guide me, to support me, to lift me up when I fall backwards, is something that I know I can rely on and makes me more fearless in what I do. I am not afraid of weaknesses or failures. I use them. You ever have someone make you feel as though you were incapable of doing things, like you were an invalid of sorts? Having Fibromyalgia, among other things, seems to give people some right to make claims over what I can and cannot do. Yes, I will hurt a lot if I exert myself too much. Does that mean I stop living? I guess one needs to determine what their destined place is. Once determined, then decide what fighting means. One also must come to realize what ‘great life’ means for them. Your great life may not be my great life. In fact, I can guarantee it’s not. How can I be sure? I already know what great life means for me. It takes a lot to fight. I call it sticking to my guns. Once you make a decision you must follow through with it. Many things will be thrown in your way. Sometimes they even make a lot of sense. You are momentarily sidetracked, waylaid. The goal, the great life is still ahead and still attainable, but the path is now muddied and rather being in a car you’re on foot. The thing is, why are you now on foot? It’s because you let it happen. You let doubt and fear get in the way. Fear comes in many forms. You may fear some physical reaction. Maybe it’s a form of emotional abuse that attacks you and attempts to prevent you from arriving at your destination. Yet, here I am, taking steps to enjoy my life. Just because my life doesn’t match the everyday ordinary vanilla expectations of those around me doesn’t mean that it’s wrong. It doesn’t mean it’s bad. You would be surprised at how little in my life these past few years would have been accomplished if I caved at every turn. Here I am. Come and take me. My first time as an Author being interviewed on a blog. 2o Questions ranging from my novel to my teaching experiences and favorite music. Click through and read all of the answers to all of the questions! I am pleased to feature an interview with Ronovan Writes, who has kindly invited me here to submit articles for LitWorldInterviews. I am a self-published author, who enjoys interviewing other authors and people connected with writing. I also admire Ronovan because, like me, he is trying to turn a health issue into something positive. I’ve moved away from talking about my health issues in the specifics in recent months. I felt as though my health was becoming me. And honestly I thought I had talked it to death. Well, I wish we could talk our ailments to death. If that were the case I would have been healthy a long time ago. But anyway, I wanted to be more positive in my writing I shared. However, at times I realize one should open up and share to let others know what can be done. Things don’t HAVE to stop you. I’ve never given much thought to perseverance as a word to describe myself. It’s been said by others but I’ve always put it off as a kind thing to say. I don’t mean to say they were being dishonest and lying just to make me feel better by saying it, but being kind in how they viewed my situation. Many don’t know what Fibromyalgia is, but it’s a health situation that umbrellas a great many things including Chronic Pain and Chronic Fatigue. Much more goes in to it than that, but those two cane be easily identifiable with. Combine that with Osteoarthritis throughout the spine, including the neck, herniated discs in the spine and neck, and various other ailments, life can be such a joy at times. But then you add the concussion I suffered two years ago, a Grade 3 Concussion that led to Retrograde Amnesia, short term memory loss, migraines that never cease, yes I mean I have migraines 24/7, sound and light sensitivity, and something else I can’t remember, and you end up with a very interesting life situation. I know of the concussion because it is a habit to know now. A journal I kept around that time, barely legible as I was writing with either hand depending on the moment, tells me what was going on. I’ve slowly begun to let it go, the specifics of things, I’m not a dweller. I’ve truly decided to move on and not allow man made guilt hold me back from enjoying life. Why tell all of this? I have a book tentatively set to come out in December. A second book in the final draft stage before proofing and editing, that will then be shopped around to agents/publishers. I have a fairly successful blog, a group of online friends, and much more. No, I don’t remember my family. I remember my son. I make an effort to remember history of my life as I am told in order to fit in, or at least act as though I am normal enough in my son’s eyes so he an have a normal father. I don’t wear my sunglasses like I should, nor my earplugs to avoid looking like an oddity around him. Seeing me put into an ambulance and then following it, only to see it disappear was upsetting enough for him not to have to be reminded of it every time he looks at me. People write a book for a lot of reasons. Yes, I love writing, but I mainly want something left behind for my son to be able to hold up and always look to. I want to be able to contribute to his life in many ways. 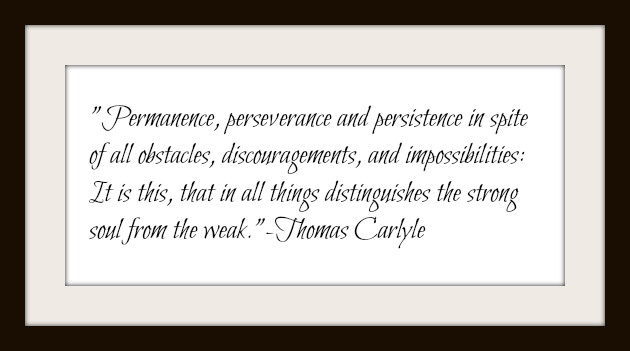 Maybe what I’m talking about isn’t perseverance. Maybe it’s simply being a father. Maybe it’s love. Whatever it is, it has brought me this far, and I intend to keep going. I still have to write that book he helped come up with. 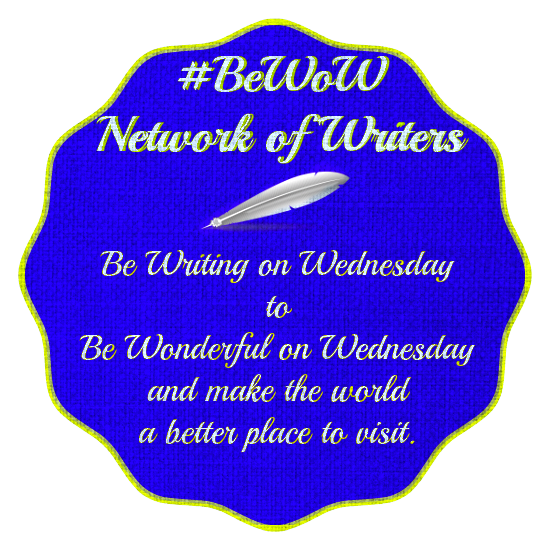 Check the comments for other #BeWoW posts and SilverThreading.com for more Writer’s Quote Wednesday offerings. Ronovan is an author, and blogger who shares his life as an amnesiac and Chronic Pain sufferer through his blog RonovanWrites.WordPress.com. His love of poetry, authors and community through his online world has lead to a growing Weekly Haiku Challenge and the creation of a site dedicated to book reviews, interviews and author resources known as LitWorldInterviews.WordPress.com.